Former Madoff employee Frank DiPascali testified for the government in a trial of five other former Madoff employees. Frank DiPascali Jr., a former aide to Bernard Madoff facing up to 125 years in prison after pleading guilty in 2009, testified in court Monday that Madoff's firm ran an "extensive" fraud lasting decades. "We were lying," said DiPascali, referring to former Madoff colleagues on trial for allegedly helping Madoff pull off his massive Ponzi scheme. "I'm talking about trades that ... actually didn't exist." DiPascali, now a government witness, said he "created fake books and records" during his 33 years at Madoff's firm. "It was pretty extensive." Fake trading went on "for as long as I can remember," he testified. DiPascali, who rose from clerk to account manager, has pleaded guilty to charges that include securities fraud, investment advising fraud, perjury, international money laundering, income tax evasion, wire fraud and mail fraud. He has yet to be sentenced. During testimony in U.S. District Court in Manhattan, DiPascali said he hopes his cooperation will cause the sentence to be "something substantially less than" 125 years. In using DiPascali as their star witness, prosecutors are trying to destroy the myth that his ex-boss acted alone. 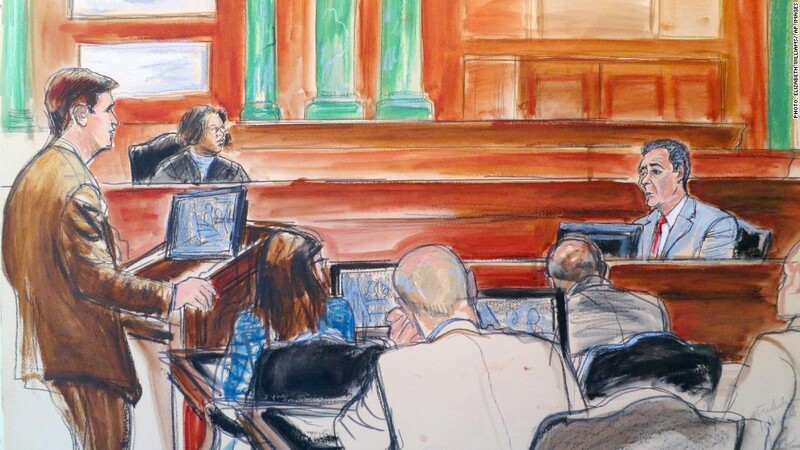 On trial are five former Madoff employees who were in the courtroom as DiPascali testified. They are accused of helping Madoff trick thousands of victims out of their money. All have pleaded not guilty. In October, attorney Andrew Frisch, who is representing one of the defendants now on trial, attacked DiPascali's credibility in court, calling him "a pathological liar [and] a shredder of documents ... whose first instinct was to run and hide." The trial began in October and is expected to last five months. Meanwhile, Madoff is languishing in a federal prison in North Carolina, where he is serving a 150-year sentence. He was arrested nearly five years ago, on Dec. 11, 2008, and pleaded guilty three months later. Madoff's brother, Peter Madoff, who also worked at the firm, pleaded guilty last year and was sentenced to 10 years in prison.